Solar operations and maintenance service are recognized as an integral part of any PV system’s operational requirements. Consistent availability, and rapid return to service times, allow asset managers to forecast energy production with greater reliability and quality. We are now starting to see, due to system aging and new technology, that the need to remove and replace part (or all) of an existing system is becoming more common. 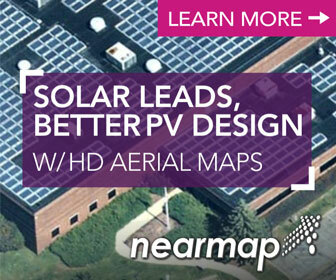 PV systems without scheduled maintenance programs do not typically have the best ROI for the customer. Unless a maintenance plan is in place, and operational, a system can underperform, often not meeting production estimates. Deferred maintenance and neglect can prematurely age a system. Believe it or not, this happens regularly, and at different degrees and times in the energy production lifecycle. Whether it’s blamed on poor budget planning, or company or asset turnover, lack of maintenance poses the risk of having to address a much bigger problem than underperformance. The largest hidden cost is failed power production expectations. A PV developer’s future financing and business model can be seriously affected by an underperforming project, or the missed opportunity to accurately forecast long term system replacement costs. Expensive repairs and extensive down time can add up quickly - the resulting damage to the builder’s reputation can be a steep price to pay. Any component of the system has potential for failure, and every component left uncared for will deteriorate and fail over time. Aging of the system will also bring other issues into consideration. O&M service providers are now seeing the need to retrofit aging systems with new components, or rebuild them entirely. Ask your service provider to explain and propose their full offerings in detail, and inquire if they have the experience and capability to remove and/or replace an older existing system. Developing a relationship with a qualified full-service provider is more essential than ever in assuring expected energy production. It’s important to remember that not all sites are designed or constructed the same nor are they located in common environments. Any maintenance plan should be customized to the system that it is being used, and not a generic form that is good for every system in the “fleet”. Preventative maintenance should be performed at least once a year. However, each site’s characteristics will vary. An agricultural packaging facility may need service multiple services a year, whereas a college campus may only require an annual visit, and a utility site may involve continuous service. It is important to seek a provider who is capable of developing a maintenance package that suits each individual system’s needs. Data Acquisition Systems (DAS) can provide a suite of useful information that show the service provider what and when essential maintenance services are needed. The optimum time to clean solar modules or set a tracker program can be determined through a DAS, as well as replacement of system fuses and modules. Visual inspections via photographs of the site, drone fly-bys, and thermography play an important part in scheduling maintenance tasks. Reputable service providers will always furnish reports upon completion of any maintenance service. This documentation is vital to the effective maintenance of the system. It details the scope, schedule, and service history that is unique to the system. It saves time and money in the short run, and the service life of the power system in the long run. Maintenance documentation can be an essential requirement when addressing warranty coverage. Many warranty holders will not provide service without it. Though documentation may require more involvement on the owner or manager side, it allows greater scrutiny and protection of your investment. Regular maintenance could mean the difference between a short-term year high production lifespan, or an extended years-plus, decreased production lifespan, along with a corresponding ROI. Reactionary services tend to be costly; full unit replacements may be necessary to return the system to operation. Systems that operate at 99 percent availability for the production year are better positioned to earn a high ROI, and increased customer and industry confidence. Even in cases where maintenance has been performed at the highest level, and on a regular schedule, there comes a time in the life of every facility, system, or component where you have to decide: repair or replace? You run a real risk of losing the asset and its expected value. An active and long-term maintenance plan is essential in maintaining and assuring production; even then, an aging system will eventually need to be remediated. When considering this tough decision, make sure to reach out to those companies that have experience in the full spectrum of services required for the work. It’s vital to select a company that can provide the critical EPC and service provisions, to ensure your project is completed with the expected value and reliability, using the latest design and components for the project. Wayne Williford is V.P. 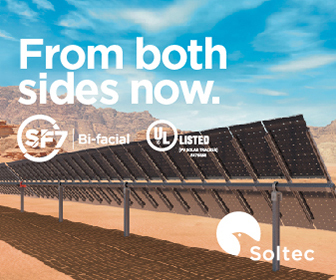 of Operations and Maintenance for Stellar Energy,a large-scale full-service solar O&M service provider with complete project development, design, engineering, procurement, and construction (EPC) management capabilities. The company also provides professional operations and maintenance services for solar power plants, as well as small business and residences.